National's 205 is an ideal microscope for hobbyists or for teaching microscopy to primary levels. 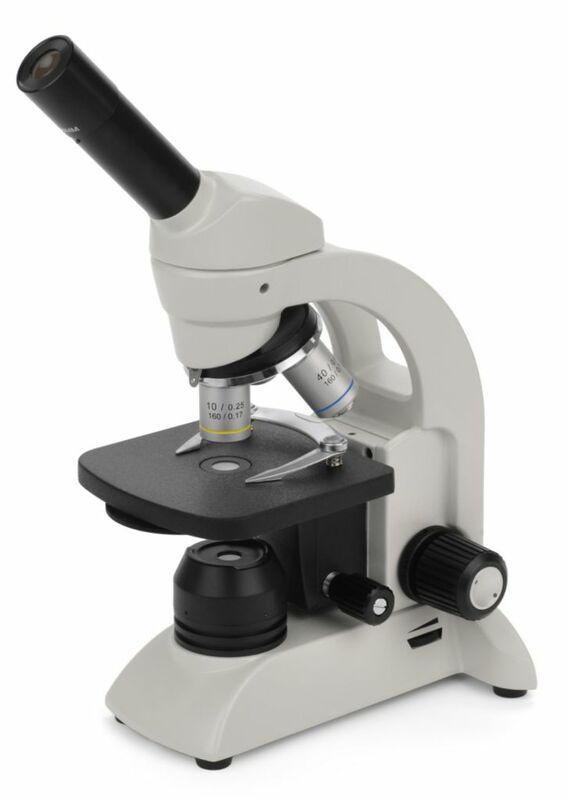 Model 205 is a cordless, monocular microscope that supports an 18 mm field of view. It features an easy-grip design for easy handling within classrooms, low-position focusing controls, rechargeable LED illumination, patented one-touch stage clips, and an inward-facing nosepiece that provides maximum operating space.